Using skin and an “ultra soft” lancette provides a good base for entertainment. 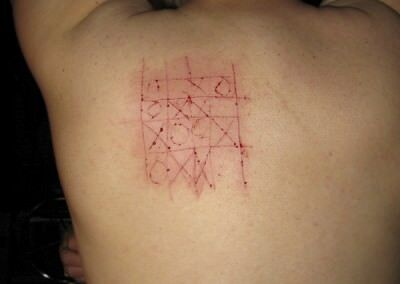 Even a simple tic tac toe becomes art. That explains my need to sign the piece. after a sweaty latex session put a smile on my face.